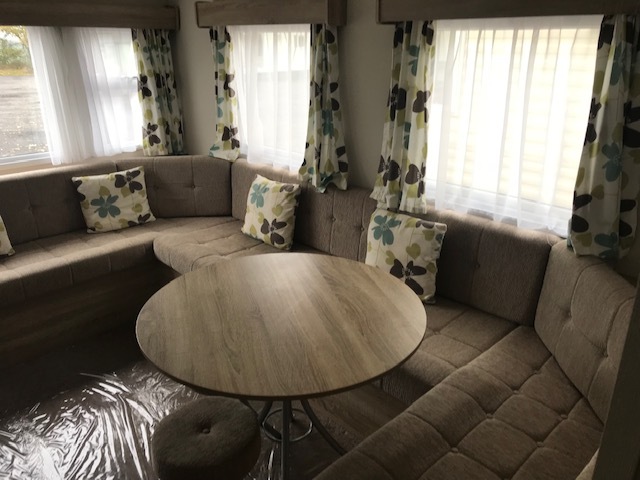 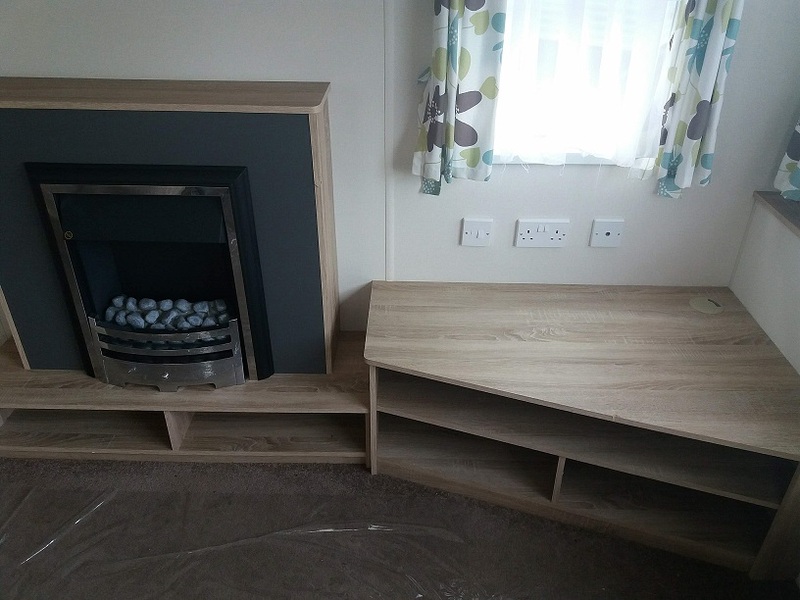 Spacious lounge with feature fireplace, entertainment unit facility, fixed sofa seating with fold-out occasional sofa bed and co-ordinating soft furnishings. 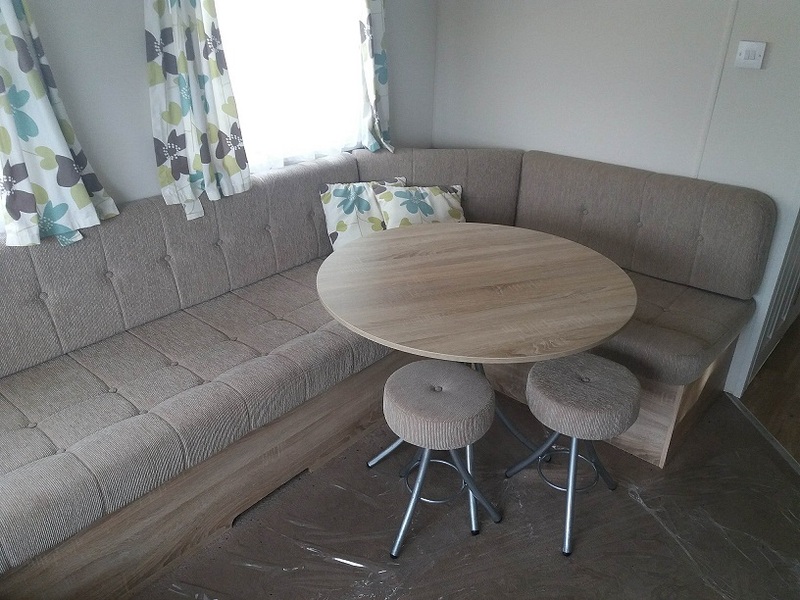 Dining area: dining table, fixed seating and dining stools. 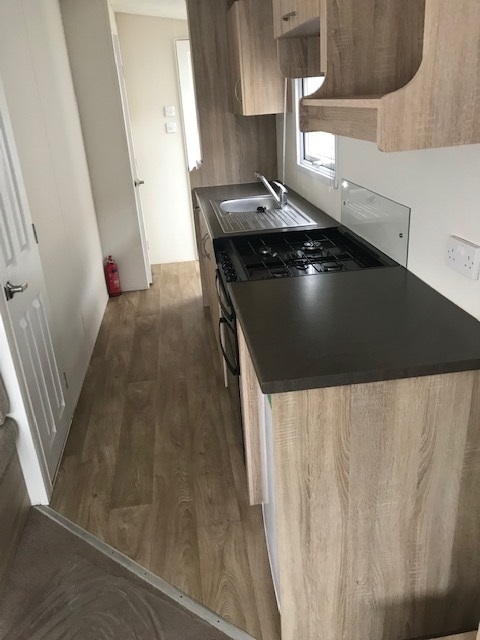 Kitchen: plenty of fitted units and worktop space, microwave space, freestanding fridge and gas cooker with glass splashback. 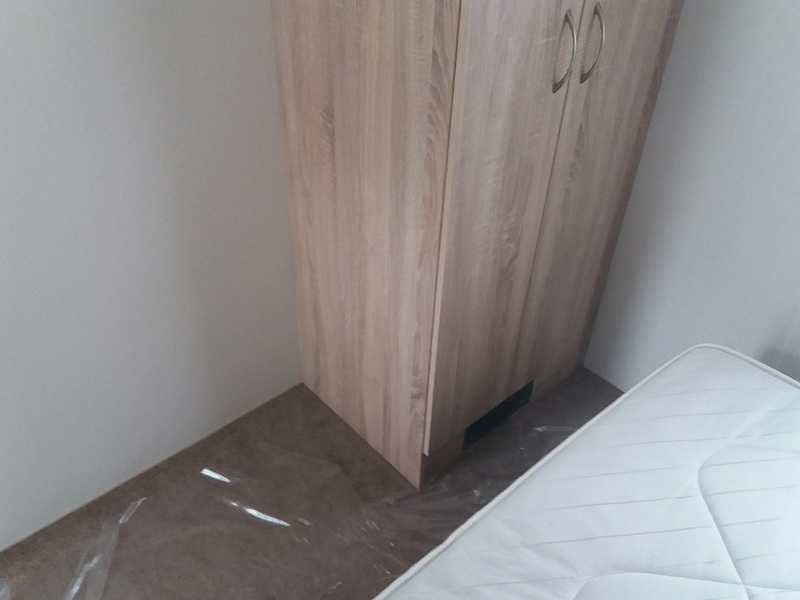 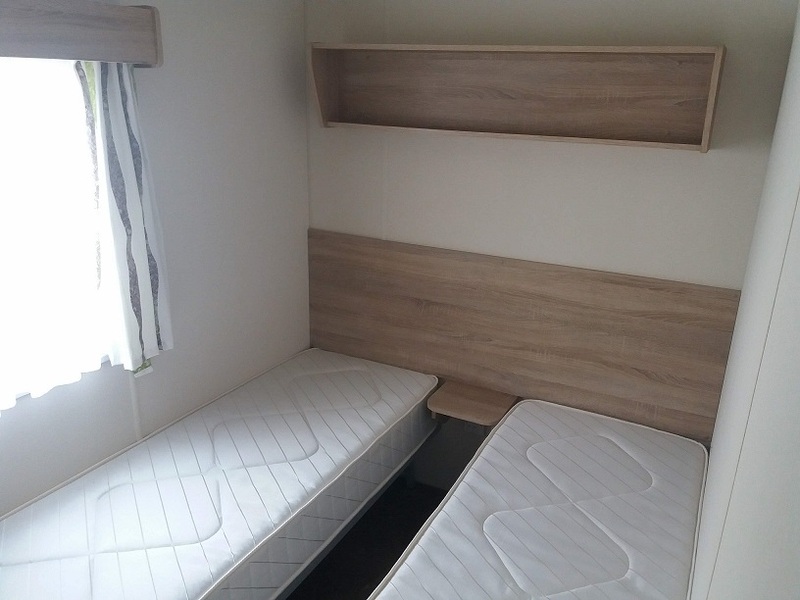 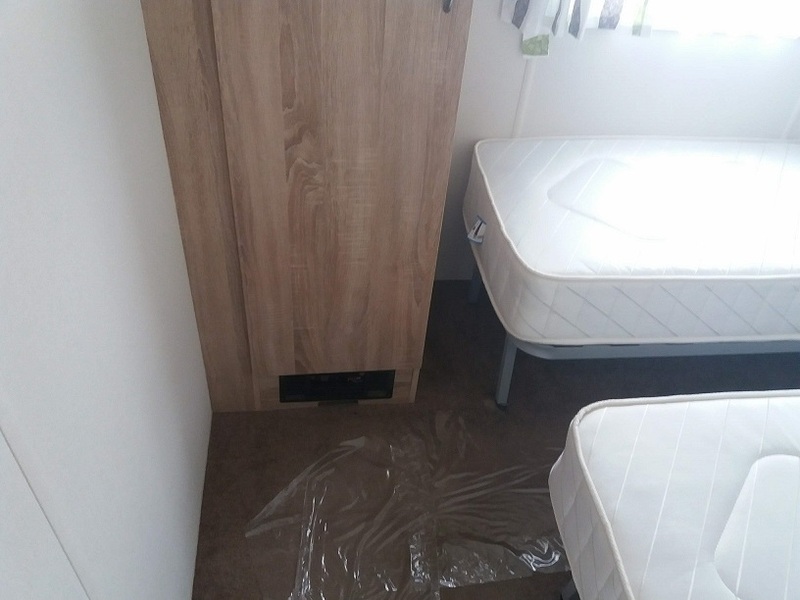 Twin bedroom: 2 single beds, fitted wardrobe and electric plinth heater. 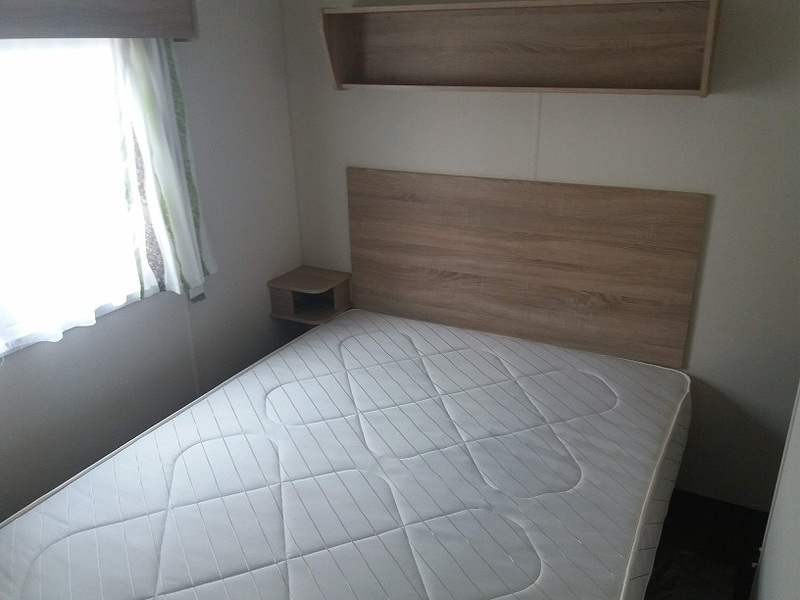 Main Bedroom: Double bed, vanity area and fitted wardrobe with electric plinth heater. 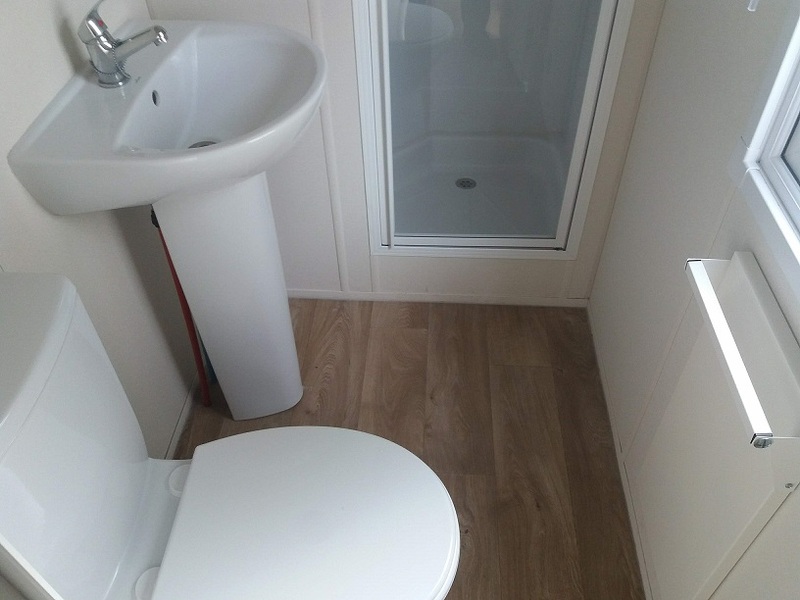 Shower room: shower enclosure, electric panel heater with towel rail, wash basin and WC. 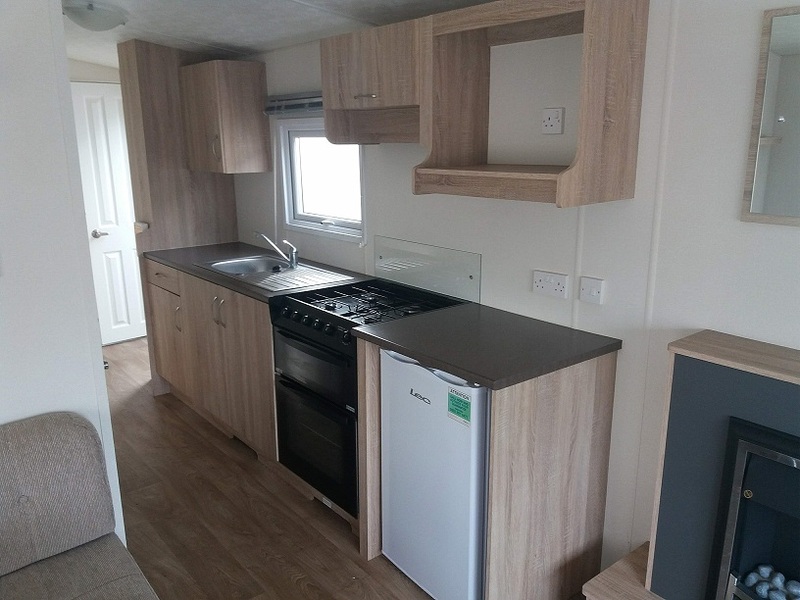 Great value; ideal for smaller pitch.